I thought it would be good to do a review of my year, most likely like everyone else is going to do. I had set myself a few soft goals this year, mostly based around my MMA photography, I wanted to shoot a UFC event and to become the ‘official photographer’ for an event and actually get paid for it. Both of these I’ve managed to achieve. It’s taken a stack of work, time and effort, but it’s been worth it. This year I’ve managed to got to around twenty events, some months taking in one each weekend. This has meant that I’ve had to make sacrifices in my personal life which has been a shame, but my other half has been very understanding of my MMA Photography habit which is a godsend. I’ve been working with MMAPLUS and they have been extremely helpful in opening doors enabling me to shoot people that I would not have had access to or the motivation to chase so this has helped me out immensely Roberto has been a bit like a training partner as we help each other along when we’d rather be at home with out respective partners or out not he beer with friends. I’ve managed to take pictures at UFC in Sweden, admittedly from the cheap seats miles away, but the experience was fantastic. UCMMA and Cage Warriors have welcomed me as have BAMMA. 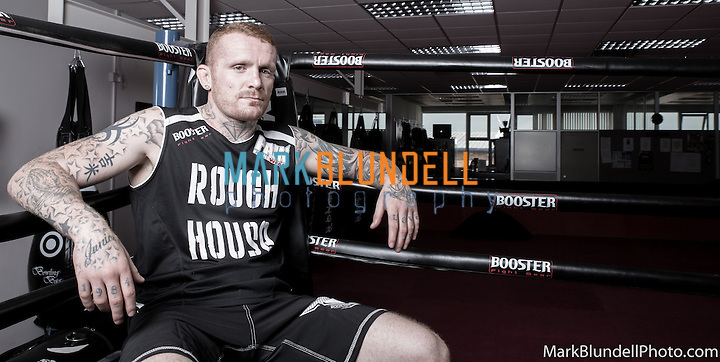 The latter taking me on as official tog for BAMMA 14. As for next year, I have a couple of targets, one is to cement myself as one of the top MMA photographers in the UK, there still loads of faults in my shooting so I still need more practice to get my technique nailed. I don’t think I’ll ever be as good as I want to be, but that’s a good thing as it means I will always strive to be better at each outing. 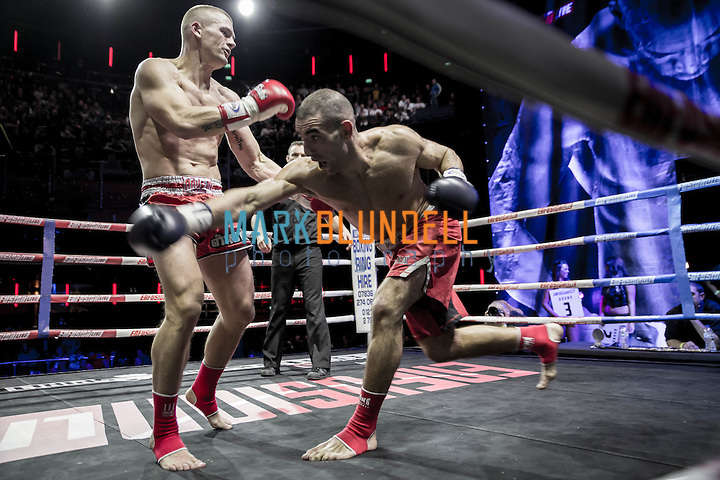 I’d like to improve my skills shooting fighters portraits and gym shoots as well as branching out into a bit of kickboxing and Muay Thai. Shooting cageside at UFC in March is the short term target though. I really want to watch Jimi Manuwa smash it against Alexander Gustafson in London. 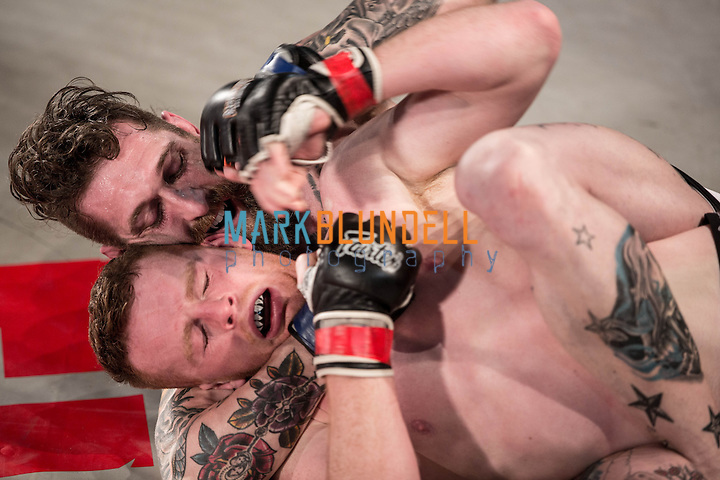 The more I continue to shoot MMA events the more I learn, this time last year I didn’t know a rear naked choke from a triangle (rather like some more notable people on the scene), now I’m understanding more and more, still can’t hold a proper MMA conversation, but I’m getting there. Massive praise must go to the people who put on the events, it’s not easy to match make, however some people have this down to a fine art (Brian Adams). The promoters need massive praise too, its not all UFC and there are some superb local shows worth a look as well as the larger events. Some local events tread a very fine line from a financial perspective and the promoters take massive risks. I know of at least one where a considerable amount of money was lost despite the event being excellent, the stars of tomorrow come thought the rails of local events and these should be supported as mischief as possible. Meeting so many dedicated top level athletes, from local clubs to UFC stars. Spending time with people I wouldn’t normally meet or socialise with from all walks of life, everyone being equal. UFC in Sweden was cool too. From a purely personal and selfish point of view, it was nice to be recognised and have people praise my work, not something that happens in my day job. Shock n Awe, this I really enjoyed, despite not having answers to my mails for the last one so not being able to attend. Not much really, getting home from events and finding that the kebab shop was closed, thats never a good situation. It would be nice to be paid to shoot too, fuel isn’t free and it’s a popular misconception that all the togs are on the payroll, that’s simply not the case but that’s a whole different discussion. Events with too many photographers are not much fun to be honest, we all end up with crowded seating, no one getting the best shot and getting in each others as well as the paying punters way, IMO it’s counter productive. People taking screenshots of my images and using them on FB pages. I really don’t mind if you take one or two, but don’t take loads of of my website,. This has prompted me to put watermarks across the middle of pictures, not something that I want to do, but something I have no option to do. All the shows that have had me along to take pictures, KAYO, Fury, UCMMA, Cage Warriors, IFC, Shock ‘n Awe, Enfusion, Smash. 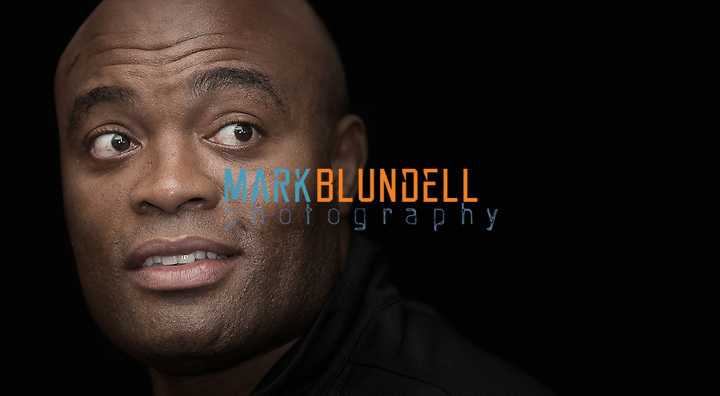 The people that have bigged me up throughout the year Colin Nwadike and Nathan Jones especially Izzy at BAMMA for providing me with my first official photographer role. I’m sure there are more that I should give a shout out to as well, the fighters and their trainers for giving us all some superb fights shouldn’t go without mention either. As a thanks to everyone who has followed my MMA Photography over the last year, here’s a 20% discount code for purchases from my image hosting website HERE.